Barış Özistek is president of Netmarble EMEA. At Pocket Gamer Connects Helsinki 2018 he'll be giving a talk called Going Global - Bringing giant games from Korea to the west. Özistek led the sale of two successful internet companies in the SHR Group, which he joined as CEO in early 2011, to foreign investors. Since 2013, he has been serving as President of Netmarble's EMEA region, one of the world's largest gaming companies. Özistek is also one of the founders and a board member of “StartersHub”, the largest venture building program that supports Start-ups in Turkey and acts as an investor in various other technology ventures. 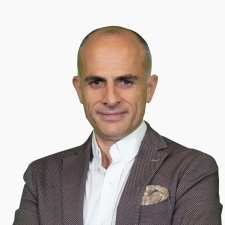 Previously, he has worked for several companies at top executive positions such as Adecco and Bureau Veritas in Turkey, Caspian Sea and Middle East & North Africa region. Alongside that, Özistek has also acted as the President of Turkish Digital Games Federation (TUDOF) and also board member of Turkish Informatics Foundation. He also has roles among several NGOs and associations like 1907 Fenerbahçe Association, Entrepreneurship Foundation, TUSİAD (Turkish Industry and Business Association) and TUBISAD (Turkish Informatics Industry Association). He holds an MBA in Finance and Marketing in addition to his MSc degree in Energy and a Bachelor of Science in Mechanical Engineering from Yildiz Technical University. After studies on multiple trainings of management, sales and marketing, he completed an advanced leadership program from IMD Business School / Switzerland. Barış Özistek: I’m the President at Netmarble EMEA. My responsibilities include the representation of Netmarble in this region, managing the publishing operations, partnership development, PR activities and new business development. We’ve positioned Istanbul as the operation centre of this region. One of the most striking developments of the past couple of years took place in artificial intelligence. Since games have become more realistic and gamers have begun demanding more challenging and competitive scenarios, artificial intelligence has come to play a significant role in games. With the increase in the popularity of technologies such as augmented reality and artificial reality in the world of games, the rise of artificial intelligence has become inevitable. At Netmarble Games, we’ve been developing an artificial intelligence service engine called “Columbus” that customizes both user experience through the use of big data analysis and artificial intelligence together since 2014. I can say that we’ll be able to see the impact of “Columbus” in our games in the near future. Artificial intelligence-powered games will be able to respond in different ways to different users in order to create “customised” contents. Netmarble is planning to employ more people in the area of artificial intelligence and invest more in this technology in the upcoming period. For instance, AR technology is being used in our RPG-type fishing game called Fishing Strike that was released in April 2018. The players have been experiencing an extremely realistic mobile fishing experience while travelling around the world and casting their lines with the hope of collecting the best fish from across the world. Fishing Strike provides players with a unique VR and AR feature that enables them to watch the fish they have caught through the lenses of their smartphone cameras. In recent years mobile games have become, the biggest area that the game companies are investing. With the introduction of high technology and capacity phones in the last 12 months, the amount of time that people spend playing games has increased by 24 per cent. Because of the immense speed of the graphics quality advancement, the amount of average time that people spend playing games has increased from 46 minutes to an hour. The target audience of the games also keeps changing. Together with the increasing penetration of mobile games, average player age keeps on increasing continuously. Parents are now and the new mid-core and hard-core gamers. Participation of women in the gamer community also increases significantly. Today, it’s common to have a chat between all friends about popular games without the hesitation of if they’re gamer or not. The mobile game sector has been growing rapidly and exponentially worldwide. One of the main reasons for this growth is that people’s access to tablets and cell phones are becoming increasingly widespread in the world. Players can play games wherever they want thanks to their mobile devices. In relation to mobile games, we’ve started to witness that the entire society is playing games regardless of differences in demographic features and ages. Netmarble foresaw this advancement, which the world of mobile games was set to experience years ago and started to invest in the area of mobile games before all of its competitors. Through this, it has become the game company that has developed the most popular mobile games in the world. Millions of gamers are playing games such as Lineage 2: Revolution, MARVEL Future Fight and Seven Knights. It wouldn’t be surprising to expect that mobile games will grow rapidly, while other areas of games, such as PC and console, will shrink in the upcoming years. Regardless of where and when the games are played, the game experience is reaching the upper levels of richness in terms of content and quality, and mobile games have already started to dominate the entire world. It would be reasonable for the entrepreneurs to put special emphasis on mobile game projects while keeping this transformation in mind. We’re expecting one of the most significant developments in the mobile platform to take place in the category of esports soon. Mobile esports games will become one of the main focus of the world of esports. Together with the rising mobile esports trend, we can see more esports activities streamed on both digital and traditional media such as TV at prime time as the audience will be the top target of the brands. We can also expect a significant growth in the mobile game market due to the increasing smartphone penetration and better telecom infrastructure in markets such as India. I’m looking forward to meeting the best development studios and talented game industry professionals from Europe at Helsinki. I believe, Pocket Gamer Helsinki is one of the best events to meet the European games industry due to its location, focus, and content. Tomorrow, the whole mobile gaming industry is set to descend on Helsinki for Pocket Gamer Connects. The event, which runs from September 11th to September 12th, is packed full of talks, tracks, networking opportunities, and more. You can read about the full conference schedule here.